We are committed to building solid, successful relationships with our customers. With the right products, tools and systems, people and knowledge, our job is to make it easier for you to do a great job. We know that speed and efficiency are vital to completing any job. That’s why, for everything from modest local developments to national infrastructure projects, we deploy the very best people to make everything run smoothly. These people work in a truly supportive way, offering an arsenal of unsurpassed technical knowledge, not to mention a proactive, ‘can do’ attitude. That’s what makes working with us is a uniquely collaborative experience; aiding you in develop new, smarter answers to today’s construction problems. We work together, here at the heart of construction. We’re at the frontline of the construction and infrastructure industries, producing and supplying an array of construction materials. 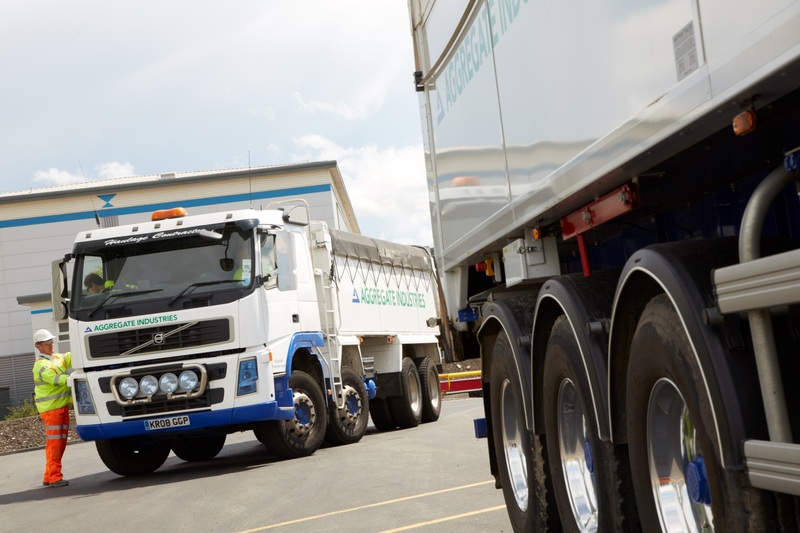 With over 330 sites and more than 4100 dedicated employees, we’re home to everything from aggregates, asphalt, ready-mixed concrete and precast concrete products. On top of that, we produce, import and supply construction materials, export aggregates and offer national road surfacing and contracting services. A full range of products which will help you work sustainably, safely, professionally and profitably. We’re also a proud member of LafargeHolcim, which is the leading global building materials and solutions company with around 90,000 employees in over 80 countries. It holds leading positions in all regions with a balanced portfolio of developing and mature markets. We’re proud to have been certified with The Responsible Source™, thanks to our never-ending innovation and investment. We offer a varied portfolio of sustainable solutions that complement our typically traditional products. For more than a decade, we’ve been a supplier and manufacturer of concrete and aggregate products for all core markets. We’ve been addressing a variety of issues, such as health and safety, quality control, ethical trading, carbon and water management, biodiversity, and social responsibility, so that we can offer our customers only the very best sustainable solutions. Following on from our work, we’ve become the first company in the world to be certified to BES 6001 standards. This is the framework for responsible sourcing of construction materials, awarded by the Building Research Establishment (BRE). Going hand in hand with offering our customers the very best, we’re committed to providing high quality products and services, which we do by implementing an effective Quality Management System (QMS). We know that mitigating and managing our impacts is important, so we ensure that our environmental performance continually improves by introducing an effective Environmental Management System (EMS) that’s relevant to our activities. We’re certified to ISO:9001 and ISO:14001. To ensure we are positioned for future growth, we have a strategy in place to enable us to constantly adapt to the needs of our customers and truly lead the industry. The Executive Committee is responsible for the strategy formulation, operational management of the business, measuring and improving performance and evaluating major capital projects. High performance with high integrity is key to sustainable success. We believe that success in doing business goes hand-in-hand with adherence to competition law rules and acting with integrity.